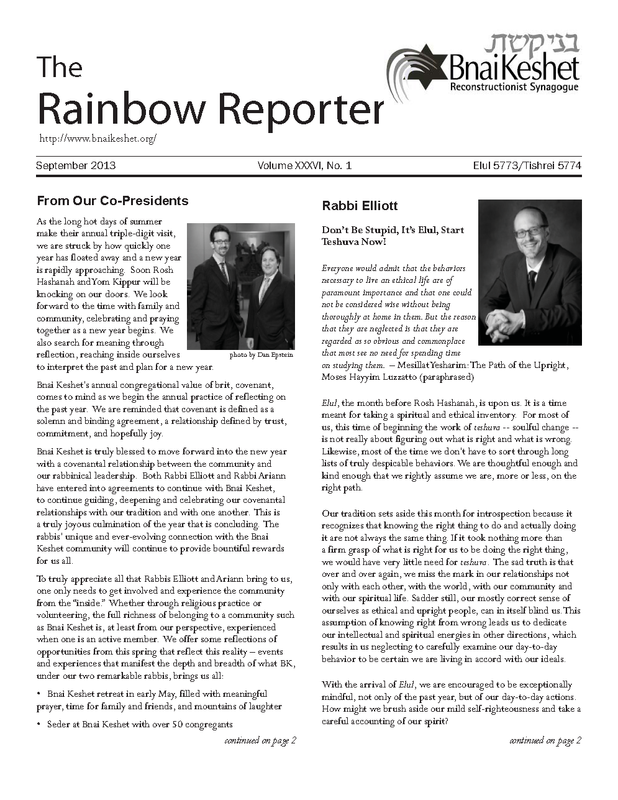 The Rainbow Reporter will be in your "real" mailbox this week. Read it on-line now. 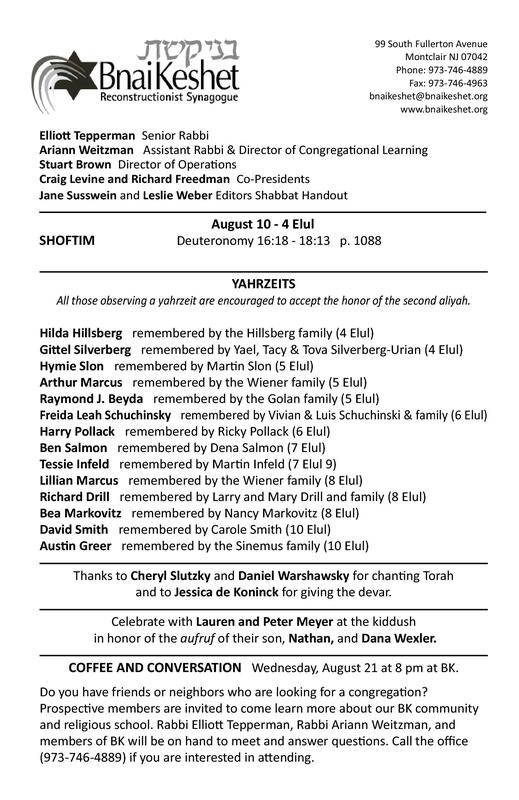 Celebrate with Lauren and Peter Meyer at the kiddush in honor of the aufruf of their son, Nathan, and Dana Wexler. BK member, Mitch Ratliff, passed away on August 2 at the age of 58. He is survived by his wife of 32 years, Robin; his two beloved children, Emily and Marshall; his brother, Mark Ratliff; and his sister, Augusta Lynn Hove. 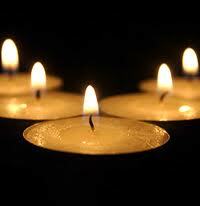 Funeral services will be held on Tuesday, August 6, 2013, at 11:00 AM at Bnai Keshet. Our tradition provides that someone who has passed from this world to the next is "guarded" until he or she is buried. Though "guarded" is the literal translation of the Hebrew word from which "shmira" comes, it is more like we are providing companionship during this journey. During this time, it is traditional to read Psalms, but any other reading from our texts or literature that fits the seriousness of the occasion is appropriate. Please signup for one-hour shifts - as many times as possible! This is among the greatest service we can provide one another. (Also please note that there will be a break tomorrow night in shmira between 8-11pm to allow for the tahara (ritual cleansing) to take place.). Click for more information about Shmira.